Kermodi Living Art: Annual Summer Sale on Now! Annual Summer Sale on Now! Visit Kermodi this month and receive 25% off all living art pieces in the studio, and 50% off selected arrangements! Plus, receive 25% off all gift orders by phone or email. 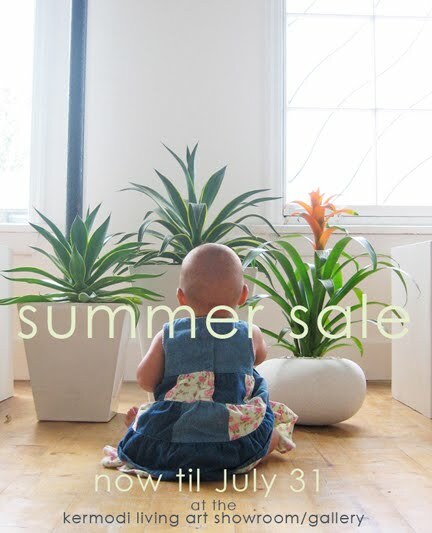 Sale on until July 31st. Remember Kermodi living art pieces are high on design and low on maintenance, so don't worry about summer holidays - our plants take care of it for you.